As companies grow and become interdependent upon each other, the issue of third-party risk rises to the forefront in boardrooms across the globe. Whether the relationship is strategic and prominent, or operates in the background – the threats that each third party relationship poses to the enterprise is very real. Strategic outsourcing creates vast opportunities for efficiency and cost reduction while taking non-core functions of business and moving them to a third party. 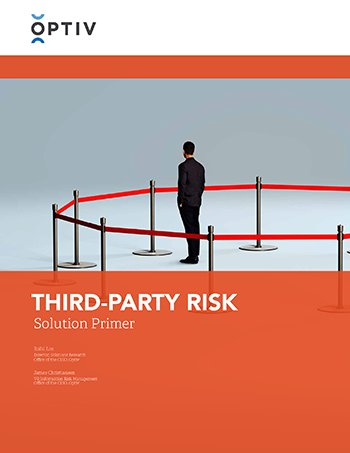 The unknown business risk taken on as a result of this type of relationship – whether it’s a third-party market research firm, a credit card processor, or manufacturing partner – is a source of consternation for CISOs that must be managed more effectively.